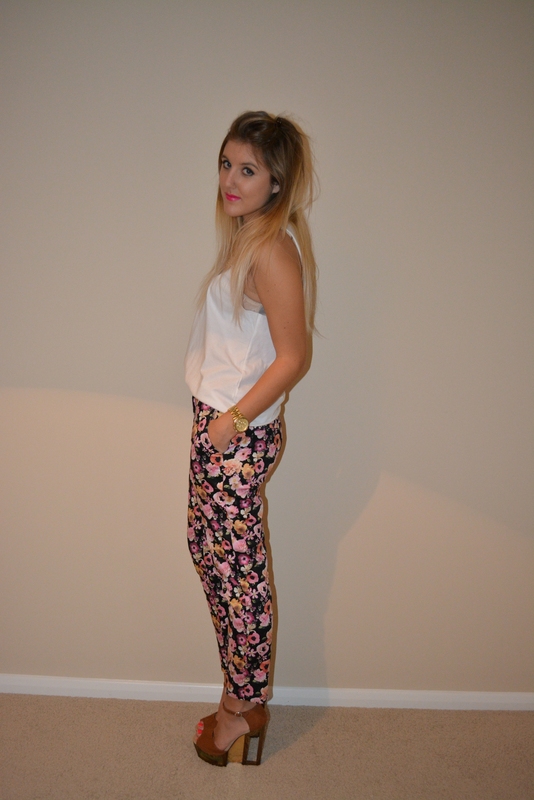 I bought the most gorgeous pair of pansy print tailored trousers from H&M this weekend. I couldn’t wait for an opportunity to give them an outing. We had a big family meal last night so I decided it was the perfect time to wear them. I was already running my wardrobe through my head and what I could pair them with while I was trying them on in the changing room. I knew these were coming home with me the second I turned around and saw the beautiful multicoloured print. The best part was when I checked the price tag, for a second I thought they had the wrong ticket on them. They were a bargain-busting £14.99!! Happy days! Spring is upon us and from the high street to high end we are seeing muted pastel tones and floral print. It is definitely my favourite time of year to go shopping. Admittedly my favourite time to shop is pretty much everyday, whether its online or browsing the shops but spring is definitely the most interesting and exciting shopping season for me. I love how much it gets me in the mood for summer. At the moment when I’m trying stuff on in the shops, I find myself thinking ‘this will look great with a tan’ and so off to the tills I go. I am very lucky that I have at least 5/6 long months of uninterrupted sunshine which is great for my wardrobe as I really get to utilise it in a way that living all year round in rainy England just wouldn’t happen. The trousers are quite out there so to let them do the talking I wore them with a white high necked drop arm tank, a baggy boyfriend blazer, a chunky gold necklace to dress it up a little and some heels. I love the fit of the trousers and the straight cut is so flattering. The length is perfect for the ultimate spring/summer look, and they are great whether you’re wearing flats or heels. They are so versatile, you can wear them styled for a night out or for a more casual feel just by changing the accessories you wear them with. A clutch, chunky necklace, boyfriend watch, bright lippy and heels makes it perfect for cocktails with the girls or a dinner date with the boyfriend. Alternatively a long strapped shoulder bag/tote, minimal jewellery, a plain not so detailed top, and flats make it great for a lunch/shopping date or that all important work meeting when you need to stand out. 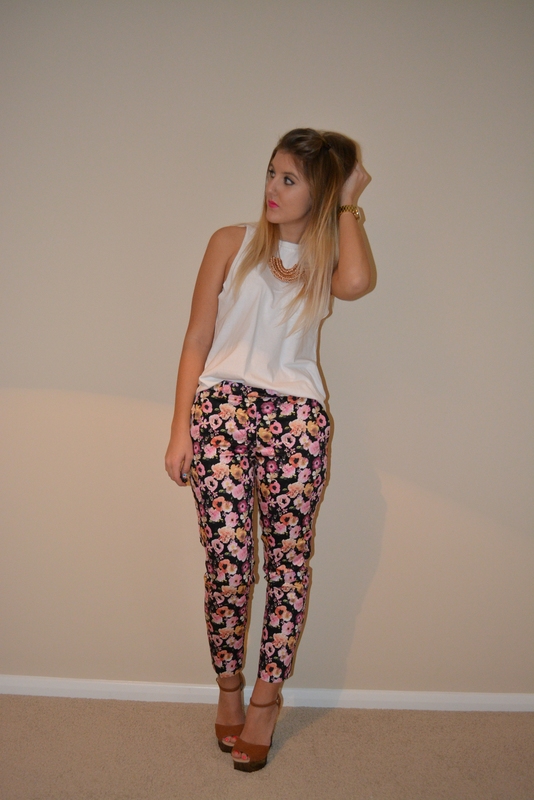 I have these trousers too, £14.99 is such a bargain! Love the outfit combo!